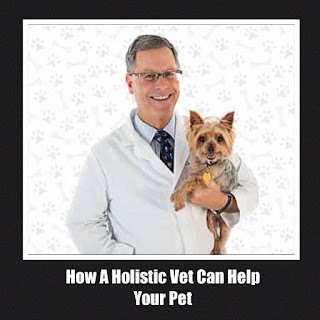 How Do I Find A Holistic Veterinarian And What Can A Holistic Vet Do For My Pet? Pictured above is Dr. David Gordon, Holistic Veterinarian, Arch Beach Veterinary Clinic, Laguna Beach, CA. What is a holistic veterinarian? A holistic veterinarian utilizes conventional diagnostic tools such as a physical examination and laboratory tests but also incorporates natural and alternative treatments (e.g acupuncture, supplements, chiropractic) into their veterinary practice. Many pet owners have heard about holistic veterinary care but are not sure about how it could help their pet. Holistic treatments are not just the latest fad in caring for a pet. It is a science-based approach used in conjunction with conventional veterinary treatments. There is no doubt that feeding a pet real nutrition, giving them vitamins and antioxidants along with plenty of exercise can be life changing. Holistic care gives you more options to keep your pet happy and healthy by addressing your pet's health as a WHOLE looking at diet, lifestyle, nutritional supplements and using alternative modalities such as acupuncture and chiropractic. These treatments are incorporated into your pet's treatment regimen by your holistic veterinarian along with conventional veterinary care. To find a holistic vet in your area, the American Holistic Veterinary Association ahvma.org has a helpful vet directory.